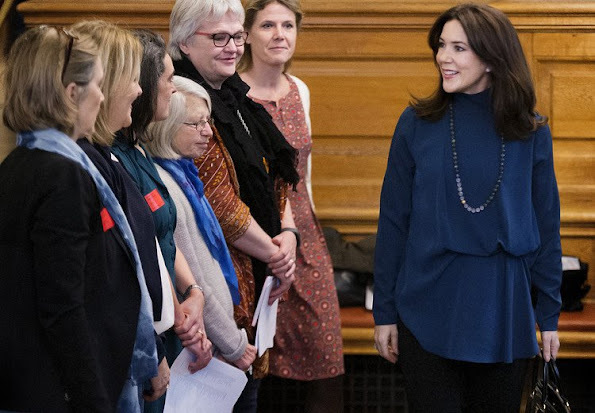 On February 1, 2017, Crown Princess Mary of Denmark as Patron of The Mothers' Help (Mødrehjælpens), attended a conference on children who are faced with violence in their family held at the Christiansborg Palace in Copenhagen. She looks radiant and elegant as usual but I don't like this shirt. Besides lately her style has become a bit boring. The blouse reminds me of the traditional Russian men's blouses. I don't like it very much. But thumbs up for supporting such an important cause. I don't like the blouse but she looks radiant. I agree with Masha!! I know they're trying to stay within their budget but please let Mary buy some new clothes!! It is seldom I do not like Mary´s clothes but even radiant Mary can not safe this outfit. She does look great but I dislike the strange shape of this blouse. At first I thought it was partly tucked in which makes it look very sloppy. I like the colour. 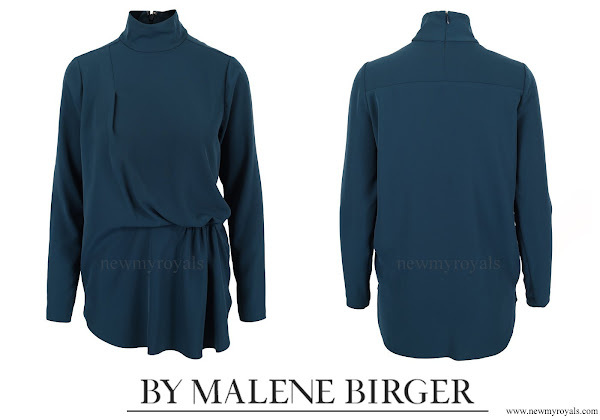 I don't care for the shape of this blouse, but I do like the rest of the ensemble, and the color is very flattering. Terrible blouse! Why does she so often wear these high necklines? It does not suit her, at least not with the hair down. It would need an updo. Gorgeous shoes! You are right Beth, high neckline only with hair up or tied in the back. I agree. This blouse is very architectural and the ruching is artistic but it just doesn't look good on her and especially not with the hair down. Love the necklace, the shoes and the colour on Mary is stunning, just not fond of the blouse. Zuerst einmal geht mein Dank an die Frauen und Männer, die misshandelten Kindern zur Seite stehen. Sie verschwenden bestimmt nicht so viel Zeit auf ihre Kleidung und ich finde es toll, dass KP Mary dies berücksichtigt. Schlichte Stoffhose (ist es ihre Lieblingshose von Hugo Boss?) und ein Oberteil in Petrol. Der angedeutete asymmetrische Schnitt nimmt einen Sommertrend vorweg und lässt das ganze Outfit etwas lässiger wirken. 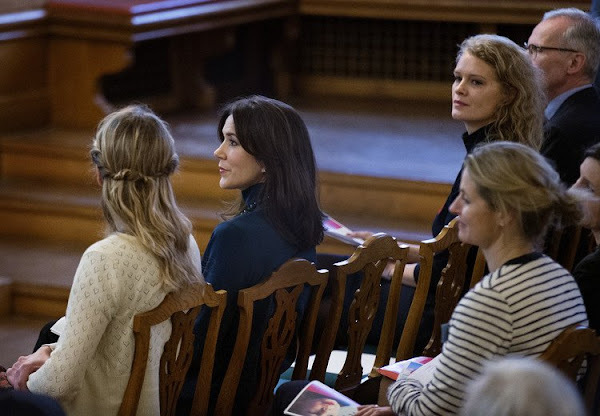 Kette, Schuhe und Tasche sind natürlich von edelster Qualität, da sie aber nicht hervorstechen, ist das völlig OK. Der Kronprinzessin gelingt es, gut auszusehen ohne die anderen, die ja die Hauptpersonen sind, in den Schatten zu stellen. Das hat Stil!